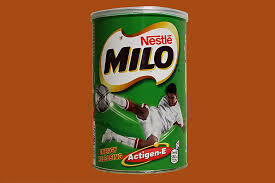 Nestle Milo is a popular brand name identified as the world’s most trusted chocolate malt beverage product common in most parts of the world. Despite its popularity, Nestle Milo traces its humble history from Aussie roots. It was in the 1930s when there was a depression that Milo rose to popularity as parents sought for ways to increase nutrients that were lacking in their kids diet. It was Mr. Thomas Wayne, an expert in Swiss Cocoa that discovered this beverage using milk. He got the naming idea from the character Milo; a Greek mythological character. In 1934, at the Sydney Royal Easter Show, an exhibition for new products was to take place and this coincided with the launch of a Milo production plant, which is still running to this date. Milo has continued to dominate the markets in a world where food products on offer lack all proper nutrients. Milo offers more than one nutrient and this greatly contributes to its popularity amongst parents. It provides calcium that is crucial for strong teeth and bones, iron that is used in transportation of oxygen throughout the body and other vital vitamins that provide the body with energy such as A, B1 and Vitamin C.
Nestle Milo has a number of products in the market. Milo cereal comes with over 50% whole grains and is the perfect option for fast energy boosting for your kids. Milo Duo combines milky vanilla and the original Milo and has great quantities of calcium, which is important in the building of strong bones and teeth. Milo snack bar is a unique cereal piece that is nutritious and brings together wholesomeness of the cereal with the nutritious Milo powder. Milo Snack Bar (Original and with Milk).